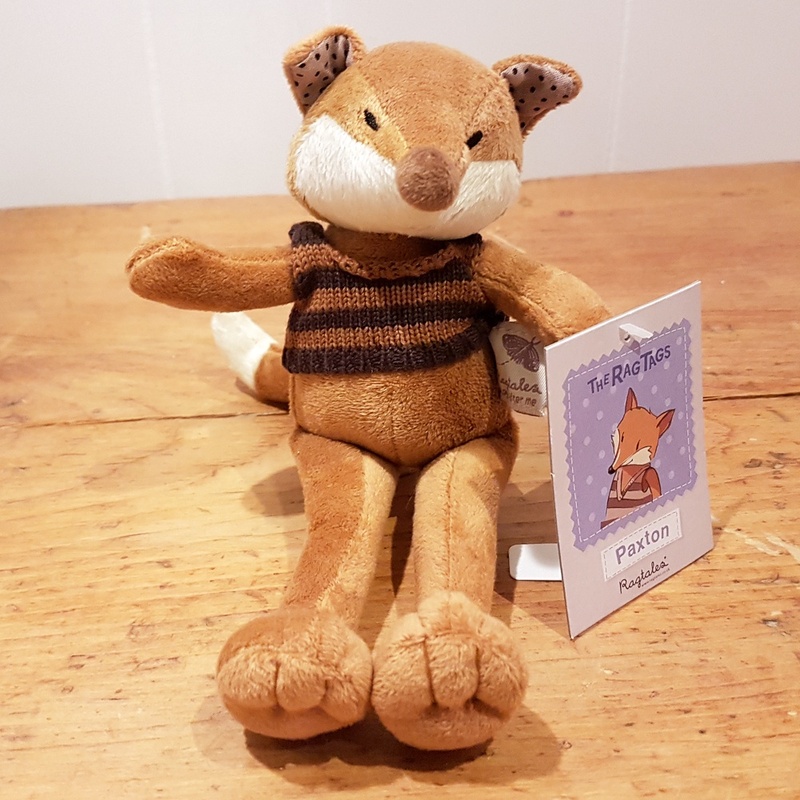 Paxton is cheeky little soft toy Fox. he is made from soft velour that could almost be suede, a long bushy tail, purple polka dot fabric in his ears a hand knitted stripy beige brown top. Size: Paxton is 22 cm tall. Suitable for birth onwards (as eyes and nose are embroidered) and machine washable at 30 degrees.